We’re conditioned to think that when something is past its prime, it’s time to replace it with something new. But contrary to marketing and advertisements, there are often upcycle possibilities for items that you were going to toss. By adding a little DIY to them, you can breathe new life—and purpose—into them. Best of all, it’s likely to save you money in the process. There are some items that are ripe for upcycling. Clothing is a great example; one of the current trends is embroidered accents on shirts and denim. With a few supplies and a basic knowledge of embroidery techniques, you can stitch your own bespoke garments that others would spend hundreds of dollars to buy. Home decor is another area that has a ton of creative possibilities. With houseplants being more popular than ever, people are getting increasingly creative with their planters. You too can take advantage of this style by adorning a plain terracotta pot with acrylic paint. 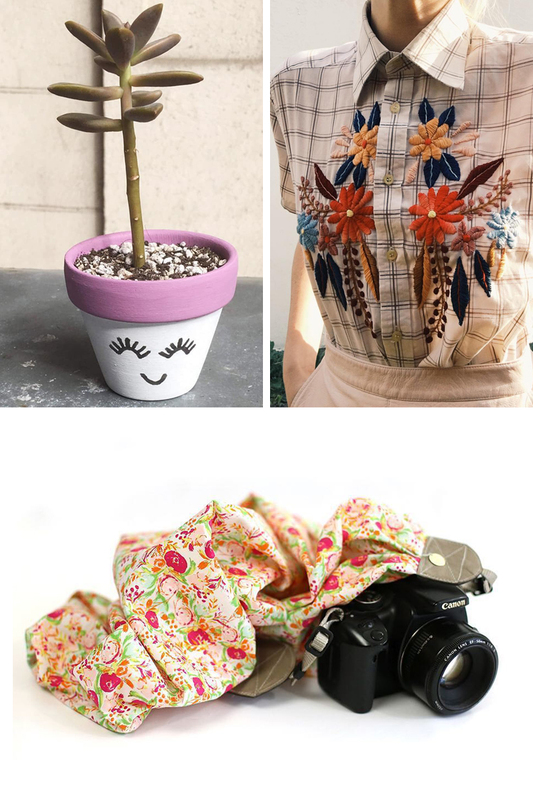 To jumpstart your creativity, here are seven upcycling ideas for you to try. Many require just a few supplies to get started, and chances are that you have them in your home already! Looking for the chance to upcycle? These seven ideas can help you breath new creative life in items you might already have in your home. Make ordinary garments bespoke with embroidery. Is there a shirt hanging in your closet that you’re thinking of ditching? Before you do, consider adorning it with an embroidered design. By adding something special to the tired piece, chances are you’ll want to show off your handiwork and put the item back into regular rotation in your wardrobe. Need some help learning stitches? We’ve got you covered with hand embroidery stitches you can learn for free. Customize plain pots with paint. With indoor plants becoming increasingly popular, you’re going to need pots to house all your new botanical buddies. The cost for all of those colorfully patterned pots can be really expensive, however. But just grab a plain terracotta or concrete pot and some acrylic paint. Use a brush to apply your favorite design and you’ll have a customized pot for your favorite new plant. Use mason jars as eye-pleasing tools of organization. Mason jars are often put out with the recycling. Next time that’s about to happen, save a few to organize your favorite items. To make them look elegant, paint the lid and buy a cabinet knob. Poke a hole in the top and insert the knob; this will elevate the look of an otherwise ordinary jar. Make anything fancier with gold spray paint. 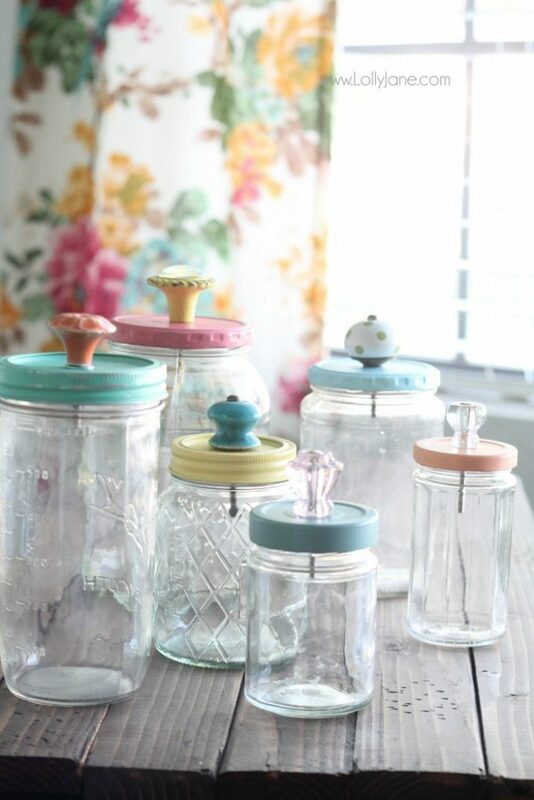 Similar to mason jars, plastic or glass containers can be made fancy with a little bit of paint. Grab a can of gold spray paint and coat those condiment jars with pigment to give them a metallic look. Fashion a camera strap from an unworn scarf. Have a lightweight scarf you never wear? Turn it into a fun and fashionable camera strap for your favorite DSLR. You’ll need a couple of pieces of scrap leather and some sewing machine know-how, but it’ll result in a comfy strap that can be coordinated with your favorite outfit. 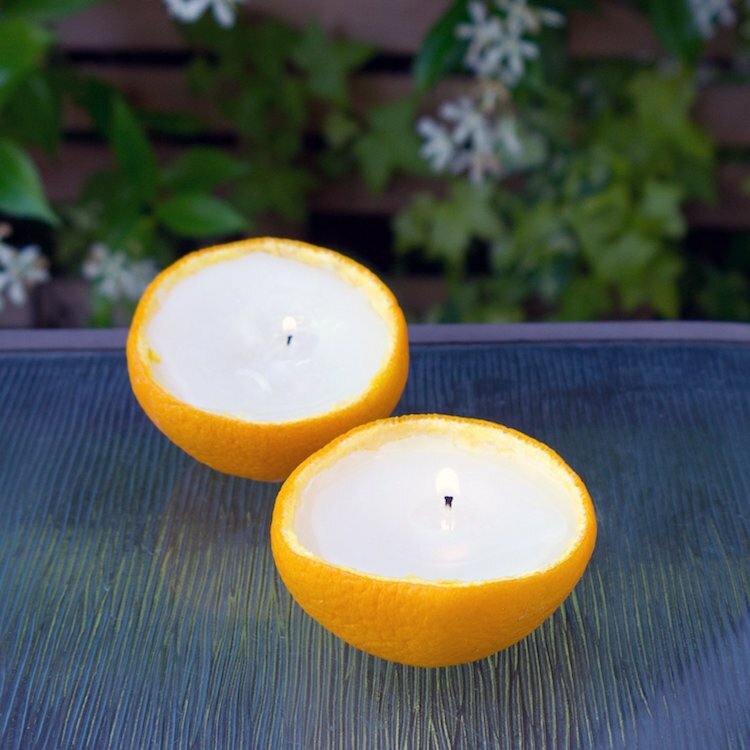 Turn an orange into a pair of citronella candles. Once you’ve enjoyed an orange, turn its rinds into a handy citronella candle you can use when you’re outdoors. All you’ll need is some citronella essential oil, candles, and wicks. To get started, follow this DIY. And the next time you’re enjoying a day on your deck, don’t worry about the mosquitos. 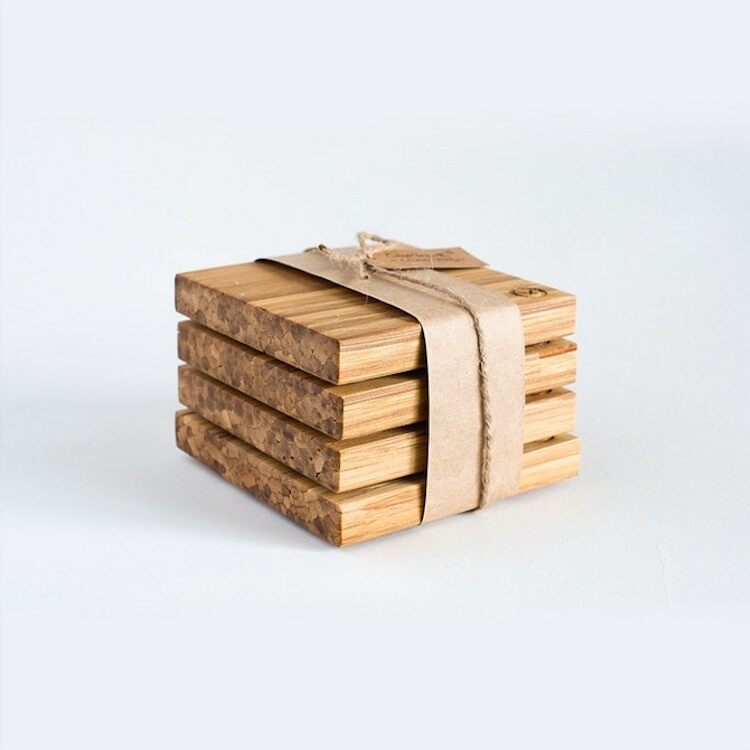 Combine takeout chopsticks into coasters. If you’ve stockpiled chopsticks from many nights of takeout, here’s your chance to put them to good use. By bunching them together and applying heat and pressure, the sticks will fuse together. Use resin to seal and protect them. Once cured, you’ll have an ingenious way to protect your table. The post 7 Trendy Upcycling Ideas That Breathe Creative Life Into Everyday Items appeared first on My Modern Met.